LISTEN UP: Sheffield Steelers' head coach Tom Barrasso gets his message across to his players on the bench. Picture: Dean Woolley. 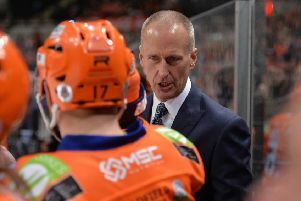 THE inconsistency of his team’s results may remain a source of frustration to him, but Tom Barrasso is clearly revelling in his role as head coach at Sheffield Steelers. Tomorrow marks three months since the 53-year-old American was installed as the successor to Paul Thompson. There is no doubt results and performances on the whole have improved since that change was made, Barrasso taking over a team struggling for form and confidence and which had just dropped to joint-bottom of the overall Elite League standings. The two-time Stanley Cup champion has helped put some self-belief back into his roster, which has also been bolstered by some key additions, most notably the return of defenceman Ben O’Connor and centre John Armstrong, as well as the signings of netminder Matt Climie and forward Anthony DeLuca. 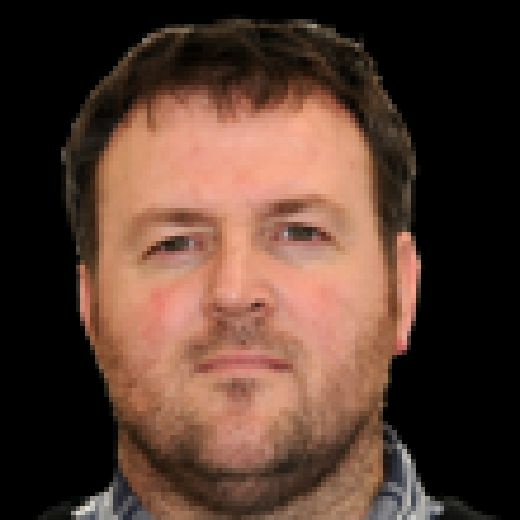 That rediscovered confidence saw the Steelers rise – albeit briefly – to fifth in the overall standings, although a return of just one point from a possible four on their weekend away at second-placed Belfast Giants, has seen them drop back down to seventh. Barrasso will have been as frustrated as anyone in the Steelers’ camp at what transpired in Belfast – particularly with his team in winning positions on both nights – although he freely admits that job satisfaction is not something that comes easily. BEST PLACE: Sheffield Steelers' head coach, Tom Barrasso, enjoys practice time with his players. Picture: Dean Woolley. “A coach comes in and his primary objective is to try and get the players to have some confidence and belief in what they are doing again,” said Barrasso. “I think we’ve certainly achieved that. “We’ve got a tremendous level of fight in our game, as evidenced by the comeback victories we’ve had. “The team has a belief in the systems that we play and that they’re effective and that they can win playing that way. The idea is that we need to keep driving and we need to keep getting better. I have high expectations for us, so satisfaction is not really in my vocabulary. “As a coach, that part is rewarding. But it doesn’t end. There’s not a satisfaction to be had at this point right now. Shortly after appointing Barrasso, Steelers’ owner Tony Smith revealed he had been greatly impressed with his overall commitment – most tellingly illustrated by the Boston-born coach’s admission that he could not “live without hockey”. That seems to have been borne out since his arrival, with his own work ethic and attention to detail being passed on to his players. “For us, it is about the process of how we get there,” explained Barrasso. “That is through practice, through the video work that we do and through the belief in our systems as well as having that belief in each other. “I’m the first guy here every day. I like being around the players, I like coaching the players, I like trying to help their careers, help them be better players. “But at the end of the day we are here to win hockey games and it is a lot more fun when you are winning. The idea is that you’ve got to enjoy every day and the grind of just being here – and that’s the thrill of it.